I hope you all had a nice week. 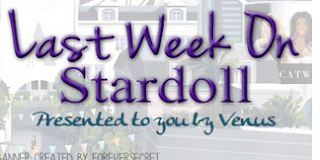 On Stardoll too, though, in case you did not visit the site this week, you did not miss much. Hopefully next one will be better, but until then, enjoy my weekly recap. It started with new Transform make up collection. This time we got some darker tones, more appropriate for current season, and Halloween as well. We got some nice lipsticks, lipglosses, mascaras, eyeliners, etc. I love the colors, but I am pretty sure we had some of, at least similar, colors in Dot, for much lower prices. Initially, Stardoll released some neck shadings, but later they withdrew them from the store. I guess the reason is they go over most of our clothes and it would just look weird. Still, overall, it is a nice collection, and I am loving purple make up especially. On Wednesday, a treat for a guys - new 'MR.' collection. Clothes are ok, I guess, I am not an expert with guy clothes. I love skull prints, ripped jeans, and there are some really great accessories. Some of the items can be worn by female dolls as well, so don't be afraid to go out of your comfort zone and try combining some in outfits. On Friday, many of us were expecting a limited collection. (Well, at least I did.) Instead, we got new PPQ collection. And the same day, the day before the Halloween, Stardoll sent us a nice treat. Ok, it is not a clothing item many would have wanted, but I find this 'thing' kinda cute, and it has a spot right next to my doll. I really love when Stardoll surprises us with unannounced, random gifts. 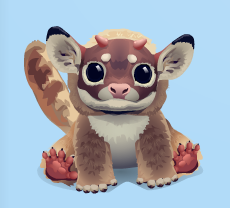 Especially cute as this one. Honestly, it is better than we got clothes, we have enough choice of clothes already. And that's it. And no, no limited collection tomorrow either. Sorry to disappoint you. Anyway, if you liked my post, leave a comment, vote in a poll, and I'll see you next week.